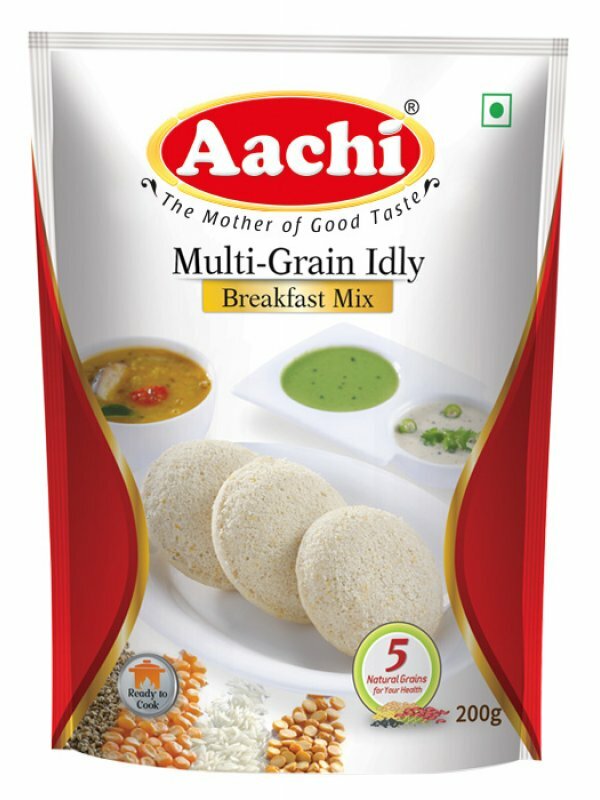 Black gram,Rava, Rice flour, Millet, Bajra, Corn, Salt, Raising agent (E 500 (ii)) and Acidity regulator (E 296). Mix contents of the pack (200g) in ¾ tea cup (200ml) of water and 1 cup (100g) of curd. Stir to a smooth batter and set aside for 15 minutes. Lightly grease a set of idlimoulds with oil. Pour ladleful of batter into each mould. Boil approx. 1l of water in a large steaming vessel or pressure cooker. Place the idlimoulds inside. Cover and steam on high heat for 8 minutes. If pressure cooker is used do not apply weight/whistle. Serve steamed hot idly with hot sambar and chutney.